We need your support to take the first step, which would be our Adult Literacy drive at Hanumanagar Village, Palghar District, Maharashtra. 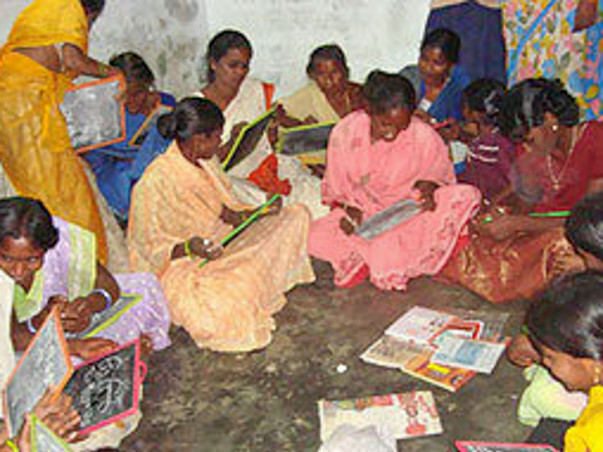 The small village with 266 families and a total population of 1691 people, has a perturbing 2% Adult Literacy rate. The even more shocking fact is that the entire area has just one school to provide education. We need your valuable contribution for our campaign to be successful. The funds collected will be used for all expenses incurred during the course of the 3 months long campaign, right from educational kits for the participants to training and travelling expenses for our volunteers to incentives for the participants from the village who would generally prefer working instead of attending the workshop due to their financial needs. This may seem like a simple question to answer -- adults being able to read and write, right? - but in fact educators have been puzzling and arguing over it for at least a hundred years. It encompasses reading and writing, of course, but at what level? A hundred years ago, people were considered literate if they could write their names, a qualification that would certainly be woefully inadequate today. And what about math? To be literate, do you have to be able to at least add, subtract, multiply, and divide, so you can balance your checkbook and figure your gas mileage? Do you need a certain amount of general knowledge in order to be literate? A lot of educators who use the term "cultural literacy" think so. How about people who can't speak or read or write English: are they literate, if they can read and write in their own language? And do you have an obligation to help learners understand how to use their literacy? WHY START AN ADULT LITERACY PROGRAM? There are two general reasons to start an adult literacy program: to meet community need, and to support a larger initiative.